Only ONE more Friday until Christmas!!! Can you believe it?! one. 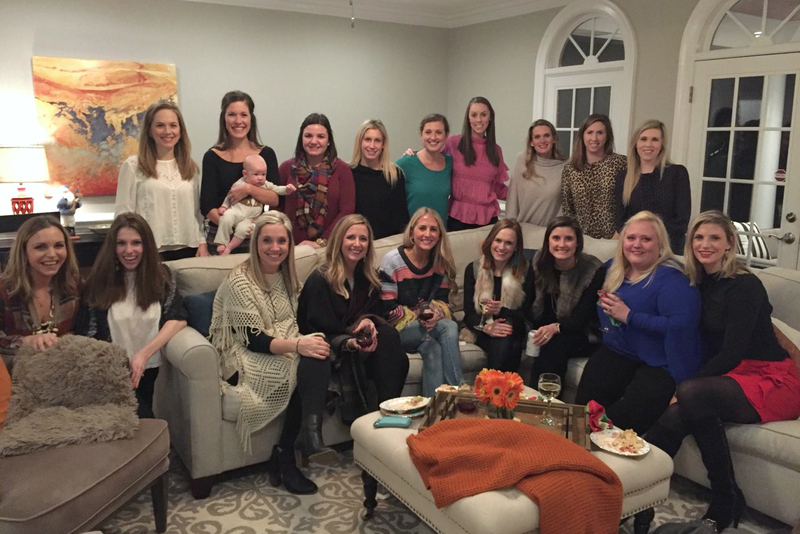 Last weekend we had our friends Sara and Wyn over for a game night. 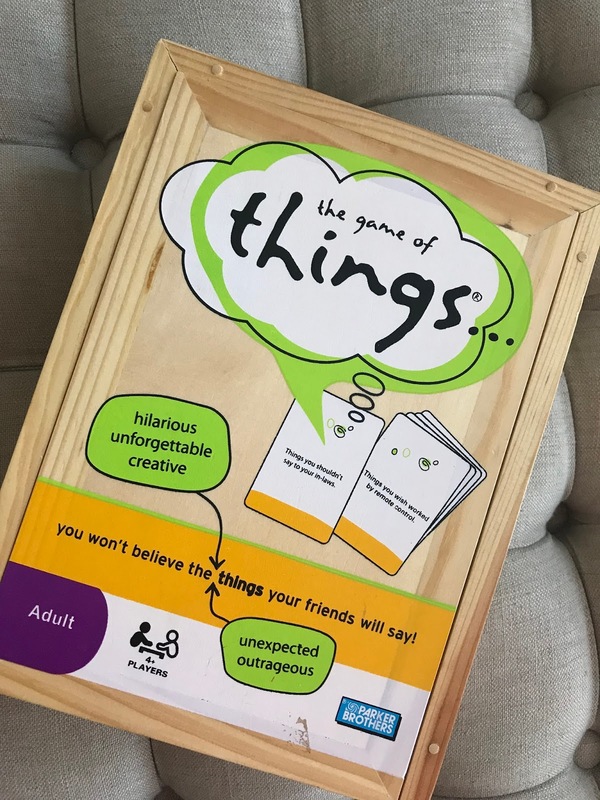 We played our faaaaavorite game — The Game of…THINGS! We’ve owned this game for years and used to play it a lot when we hosted regular game nights before kids. It is SO fun and hilarious. And the more people playing the more fun the game is. two. I recently snagged a new work dress! 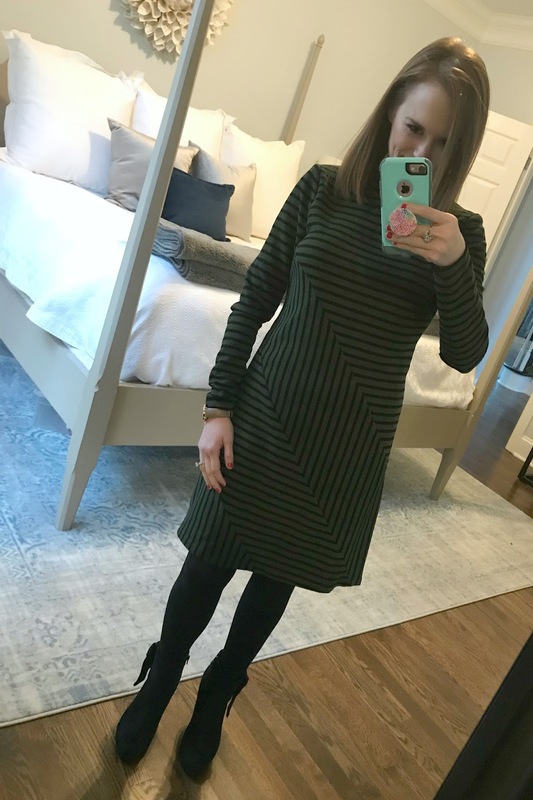 The fit is so flattering, the material is really high quality and it’s comfortable — which is important because I drive a LOT for work and like to be comfortable when I travel. Another travel perk? I’ve worn this dress twice this week in different cities! Oh, and it’s on sale right now too! four. We got a little snow last weekend!!! Caroline was SOOOOOO excited. And we were too. 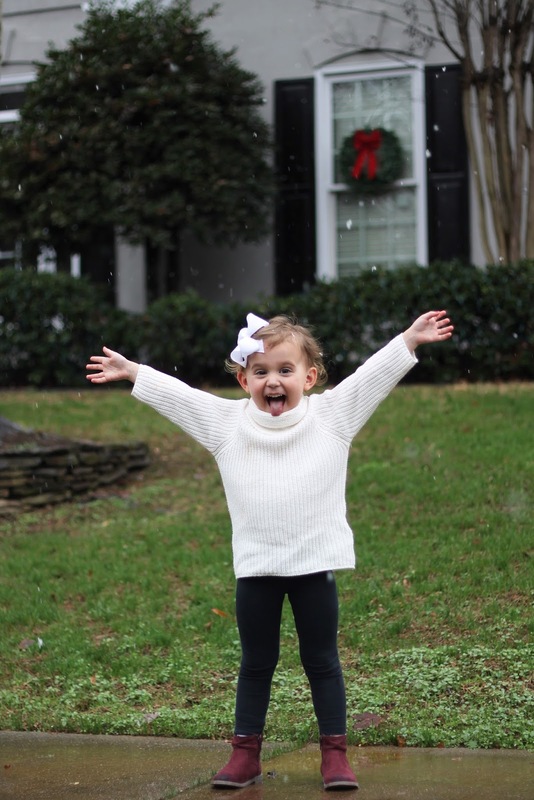 It’s always a huge deal in Charlotte when we get some flurries. five. Tom Tom had an eye doctor appointment yesterday! He is obsessed with his Superman Cape right now and insisted on wearing it to his appointment, and to breakfast, and to school yesterday. 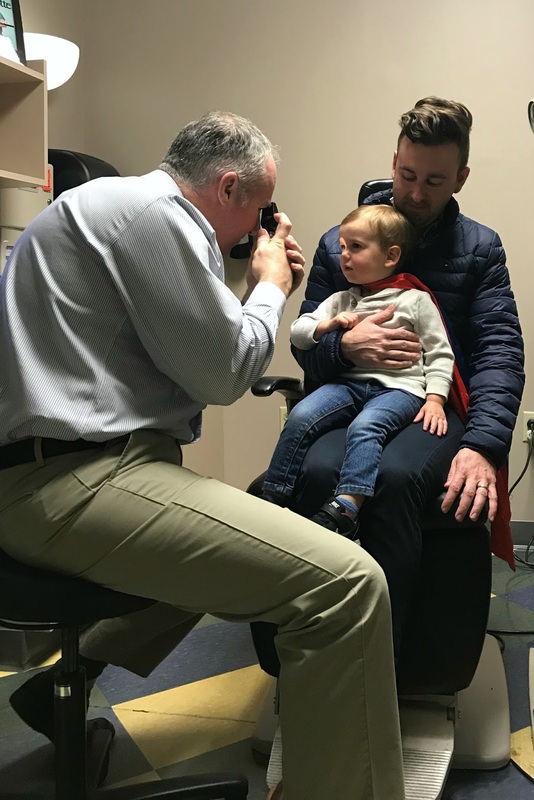 Although Thomas didn’t tolerate the dilating, pressure check, alignment exam or eye exam portions of the visit we got a great report from Dr. D! Now that he is talking a lot more we were able to do an eye chart exam which was really incredible. We started with ginormous pictures of animals on the screen and went all the way down to a size smaller than the palm of my hand. We are so grateful and blessed for such amazing progress. Previous Post Christmas Around the House! Yay for good news re: the eye exam!! And that picture in the ‘snow’ is so precious! We love the Game of Things too!! It's a blast! That's great Thomas had a good report at the eye dr! That dress is super cute! That sounds like such a fun board game! Yay for a good report for Thomas. I know it has been quite a journey, and it must be incredible to look back on! That is great news about Thomas' good report at the eye doctor! So jealous of your snow! Hoping for some in eastern NC at some point this year!! I just ordered the game! Congrats on a good eye report! My son has worn bi-focal glasses since he was 8 months, he too read the picture eye chart at his last appointment. Between constant rx changes,patching and eye surgeries, I couldn't help but cry! Thomas is totally superman. He should definitely wear a cape. 😉 Love the Game of Things!! Such a fun time! !